Note: This article was initially published on the Moment Magazine official site on 9/13/16. In our Books that Shaped Great Authors symposium, we asked 20 Jewish writers to tell us about the books that influenced them the most. Their answers ran the gamut from Winnie-the-Pooh to War and Peace. Hoping for some equally inspiring responses, we asked our readers to tell us their own stories about books that changed them. Here are some of our favorites. My life changed course during my high school marine biology class. Two afternoons a week, our teacher would don a field hat and read snippets from the introduction to John Steinbeck’s The Log from the Sea of Cortez, written to memorialize Steinbeck’s close friend Ed Ricketts. One passage sold us on the immense value of good literature, good science and good friendship. Steinbeck describes a moment four days into his own birthday party. Ricketts, having already imbibed about five gallons of beer, awakens from a nap and reaches for his nearby quart-size bottle: “He found it, sat up, and took a deep drink of it. He smiled sweetly and waved two fingers in the air in a kind of benediction. We were gobsmacked. We cheered, our adolescent belief in the healing power of an all-nighter wrapped in the package of Steinbeck’s own fine prose, philosophical observations, and finished neatly with a newly minted form of religious ritual. My transformation led me to pursue the paths that Ricketts and Steinbeck modeled. I relentlessly pursued a first career in marine and wildlife biology, all the while writing, with Steinbeck as my muse. My recent career as a spiritual care counselor and chaplain is yet another branch of the Ricketts/Steinbeck legacy. Although I grew up middle-class and Jewish and my pastoral training has been through Jewish seminaries, my life has been lived on the rough edges, as a biologist as well as in the areas where I live and serve, whether fishing in the harbors or ministering to heroin addicts in skid rows. It is no accident that Steinbeck used the word “benediction” in the passage my classmates and I so loved. To him, the sacred happens in small moments as well as it would in a church or synagogue. Steinbeck’s works always portray his own struggle to show us the spiritual easiness of the land, how humans seem to mangle it all up, and how we can find redemption. Suddenly, All-of-a-Kind Family popped into my head. The tender love and care shared between parents and daughters, the sisters’ relationships and identity as individuals and as Jewish immigrants, helped me relate to my father’s childhood and upward struggle. The tension of tradition, observation, and contemporary life was one he felt constantly. He passed this year, but left a legacy for my siblings and myself that engendered a deep love for Jewish observance with the freedom to participate as is most meaningful. I still think of Ella and Henrietta and the other sisters whose father was that same loving guide, who deepened their appreciation for their roots and quietly modeled how to be a good Jew, a true mensch. Tao Te Ching, written by ancient Chinese philosopher Lao Tzu—I’d recommend the Penguin translation by D.C. Lau—is the book that came into my life like a bolt of lightning. 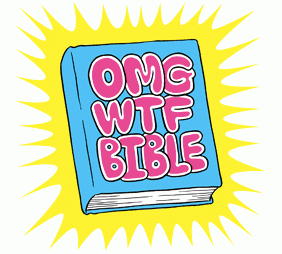 It is not a Jewish text, but it has probably been discussed and interpreted as diversely as the books of the Talmud. I would even argue that this book is the original and best self-help book of the past 2,500 years. (The 7 Habits of Highly Effective People by Stephen Covey, might be my personal choice of runner-up). Ralph Ellison’s Invisible Man, when I was a sophomore in college. This was the book that really taught me to read carefully, with my whole heart and mind, and with an eye for the detail and nuance in Ellison’s language, in his characters, images, motifs, and themes. It was also the book that began my more mature thinking about race in America—never a more urgent topic than right now. I was interested in health, medicine and anatomy from a very early age. I used birthday money to buy my first microscope at age 10. I wasn’t sure how I would use that interest because I was a female, and had no related role models. Then I read Woman Surgeon by Else K. Laroe, and that transformed my thinking about the possible. I retired five years ago after 46 years in health care. I received much more than I gave. Many books and authors influenced me as a young person growing up in post-war Germany, long after World War II was over. Max Frisch and Wolfgang Borchert were instrumental in defining my attitude towards peaceful coexistence. However, the one book that opened my mind to an even greater extent was Aldous Huxley’s Brave New World. It started the adoption of a different perspective of how I viewed the world and, more importantly, human behavior. Manipulation and emotional control are presented very clearly in this book—all the more reason for me to resent them. 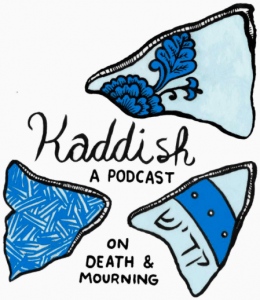 This past July, we gave you a list of some of our favorite Jewish podcasts. We were soon inundated with recommendations for other podcasts readers felt we overlooked. We’ve done some listening ourselves, and came up with ten more Jewish podcasts for you to enjoy. If our last list didn’t turn you into a podcast lover, this one just may do the trick. Debuted by Tablet last summer,“Unorthodox” is a self-proclaimed “smart, fresh, fun take on Jewish news and culture.” This weekly podcast is hosted by Tablet editor-at-large Mark Oppenheimer and features writers Liel Leibovitz and Stephanie Butnick. Guests have included include best-selling author A.J. Jacobs, essayist Sloane Crosley and Jewish Voice for Peace executive director Rebecca Vilkomerson. 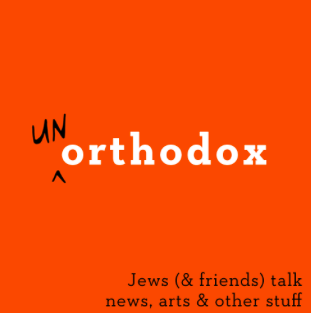 If you want to hear about “everything from the presidential elections to Amy Schumer, Israel to Drake,” “Unorthodox” is for you. Rabbi Robert B. Barr has been putting a rabbi’s perspective on current events since 2007. As the founding rabbi of Congregation Beth Adam in Cincinnati, Barr is a champion of the Humanistic Judaism movement. Discussing everything from the Syrian refugee crisis to the high holidays, Barr has tackled hundreds of topics in his nine-year-old show. With each episode in the two-minute range, “Barr’s Banter” is an easy addition to your weekly routine. 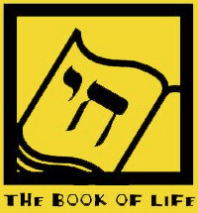 “The Book of Life” is a podcast all about Jewish media. Whether it’s books, music or films, if it’s Jewish, it’s covered. The show is hosted by biblical fiction author and librarian of Congregation B’nai Israel in Boca Raton, Florida, Heidi Rabinowitz. 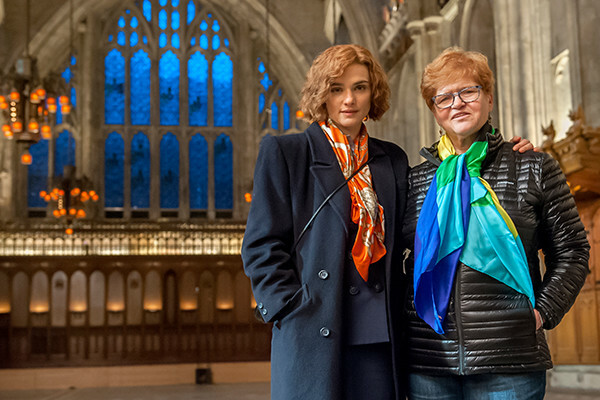 She has interviewed many renowned Jewish creatives, including author Angela Cerrito and filmmaker Roberta Grossman. 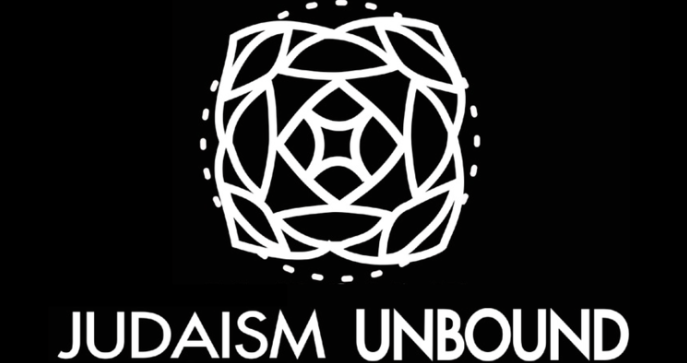 “Judaism Unbound” is a “project that catalyzes and supports grassroots efforts by ‘disaffected but hopeful’ American Jews to re-imagine and re-design Jewish life in America for the 21st century.” In other words, the main goal of the podcast is to construct a Jewish lifestyle that fits into modern-day American society. 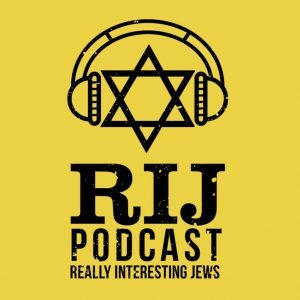 The show is hosted by Daniel Libenson and Lex Rofes, the heads of the Institute for the Next Jewish Future, an organization with the same goal as its podcast. 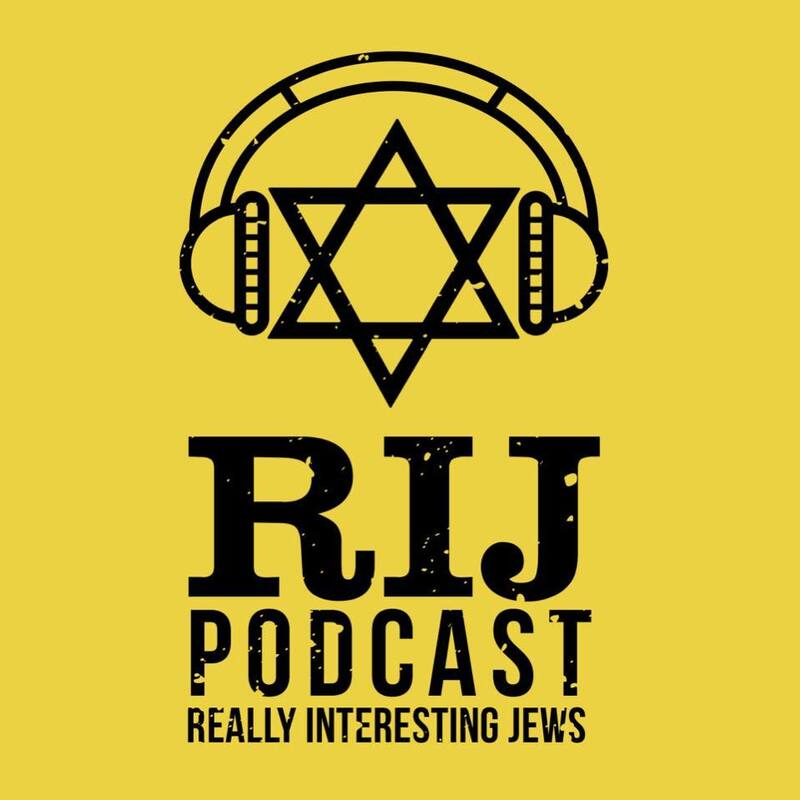 Join Libenson and Rofes as they interview guests such as author Richard Elliott Friedman and American Jewish historian Jonathan Sarna, all in the name of evolving Judaism. 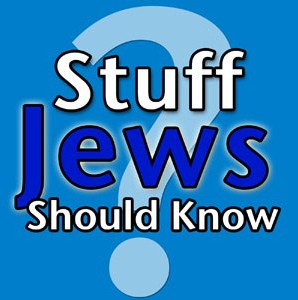 Are you a Jew living in North America? Do you have an interest in (left-wing) politics? If one or both of these apply, “Treyf” might be the podcast for you. 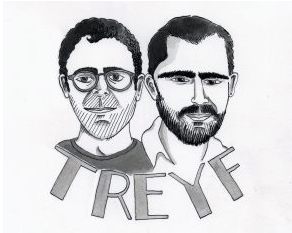 As a self-described “debatably Jewish podcast,” “Treyf” addresses some of the thornier political discussions taking place in North American Jewish communities, from the Boycott, Divestment and Sanctions movement to social and racial justice. The episodes’ relatively short length (anywhere from 20 to 40 minutes) does not limit their guest repertoire. Writer Mark Tseng Putterman and journalist Josh Nathan are some of the many voices “Treyf” has recruited to facilitate discussion of the Jewish political sphere. 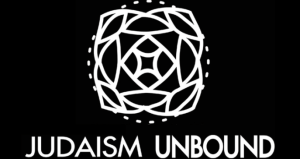 The Jewish Studies subsection of the New Books Network of podcasts tackles a new Judaism-related book each week. Rather than simply discussing each book, NBN takes the time to interview their authors. Some of these writers include Jonathan Garb, author of Yearnings of the Soul, and Robert O’Kell, author of Disraeli. The title says it all. Join Mottle and Batya Wolfe as they discuss different Jewish essentials and topics—holidays, landmarks, traditions, laws—in under a half an hour, from Purim to the Temple Mount. You’ll be an expert in no time.